Mention Ellicottville and you’ll get comments like, “great skiing at Holiday Valley”, “fun nightlife” and “cute shops in town”, but there’s so much more to the summer side of this fun little town. 1. Sky High Adventure Park at Holiday Valley where you can choose your level of challenge on platforms, bridges and zip lines built high in the trees. 2. Spruce Lake at the top of Holiday Valley for hiking and watersports (non-motorized, please). Catch a chairlift ride there on weekends starting in August. 3. Guided stand up paddle boarding and kayaking at Spruce Lake every summer weekend starting June 16. 4. The Sky Flyer Mountain Coaster, a thrilling trip that rolls, dips and spirals down the mountain. 5. 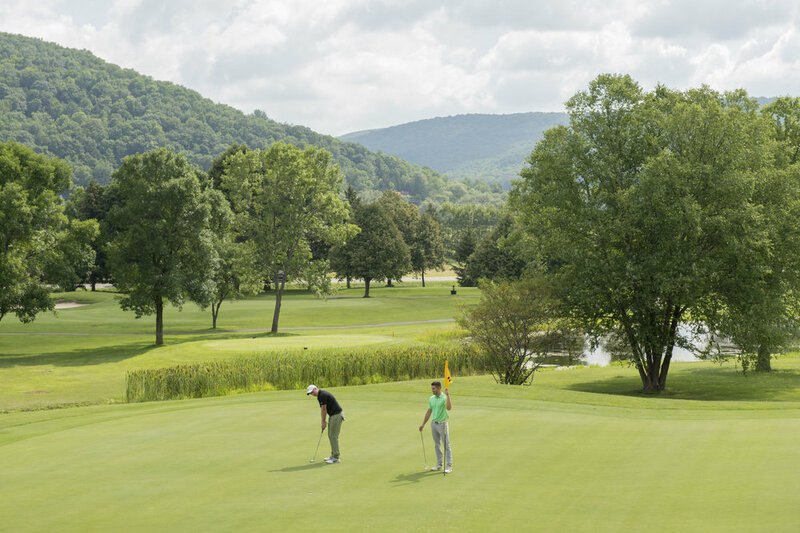 The Double Black Diamond at Holiday Valley, a beautiful and challenging golf course with well-watered fairways and devilish bunkers. 6. 35 miles of cross country mountain biking. 7. The cruise-like atmosphere of the Holiday Valley 3-pool complex, Cabana Bar and Game Deck. 8. Total and complete relaxation at Oasis Spa in the Tamarack Club at Holiday Valley. 9. Rolling hills and quiet country roads for beautiful and adventurous road biking. 10. The Tamarack Club at Holiday Valley, a handsome condo/hotel where all these adventures are waiting at your doorstep! Call 800-323-0020 or visit www.holidayvalley.com to book your vacation!